Detouring at I-40 begins Friday night. 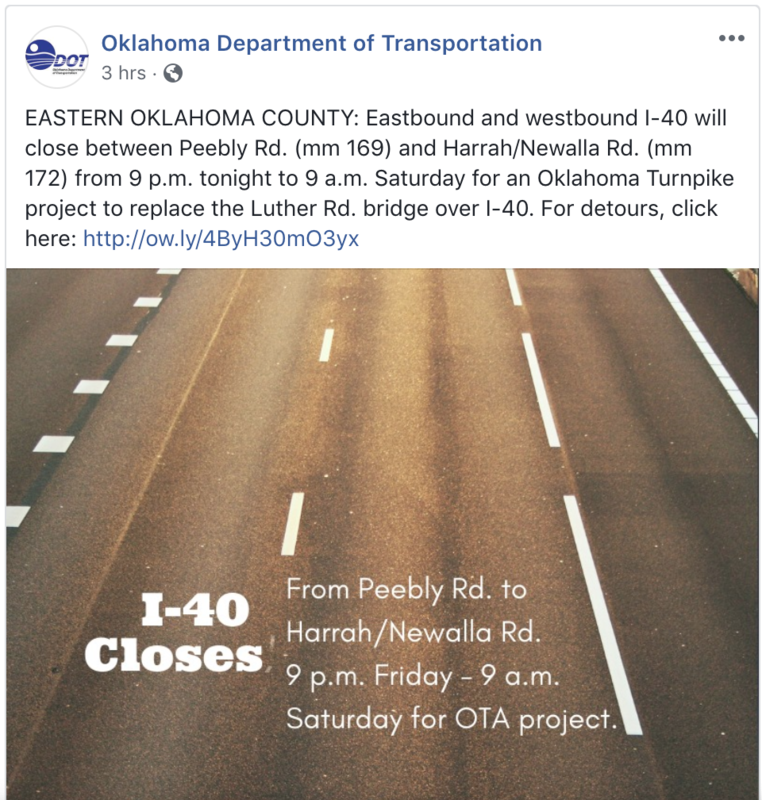 The Oklahoma Turnpike Authority and Oklahoma Department of Transportation are shutting down I-40 Friday night, November 30, to tear down the Luther Road bridge as part of the construction of the new Eastern Oklahoma County Turnpike. The closure is from Friday 9 pm – 9 am Saturday at the southern end of the toll road under construction. 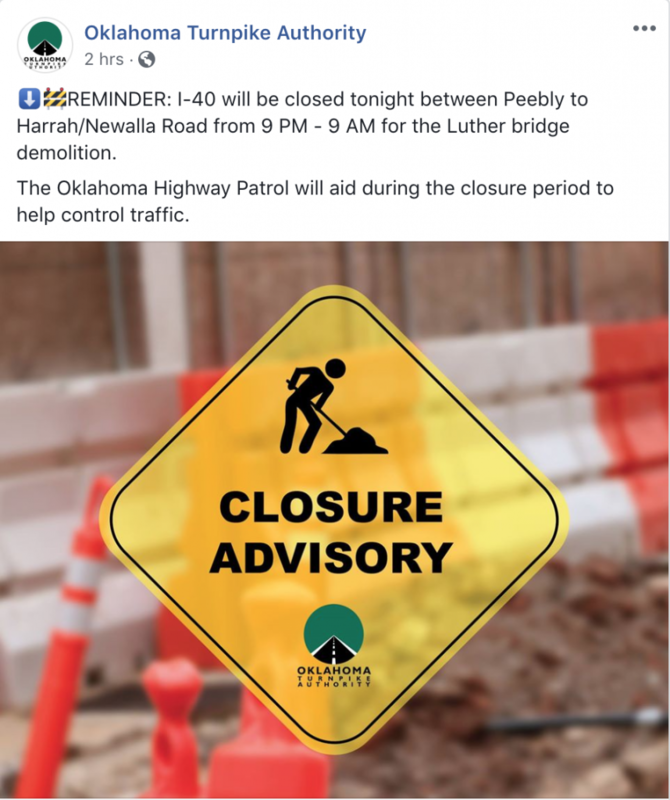 Both directions of I-40 will be closed from Peebly Rd. to Harrah/Newalla Rd. from 9 p.m. Friday to 9 a.m. Saturday for the demolition of the Luther Rd. bridge over I-40. This project is part of the Oklahoma Turnpike Authority’s Eastern Oklahoma Corridor construction. Signs will detour drivers to SH-102 and US-62 to the north of I-40 and SH-102 and SH-9 to the south of I-40. Local traffic will have access to the Peebly Rd. exit (mm 169) and the Harrah/Newalla Rd. exit (mm 172). The Luther Rd. exit will be closed for 6 months to construct the new bridge. FOR MORE INFORMATION about this project contact OTA at 405-425-3600. I-40 will be detoured overnight Nov 30 while the Luther Road bridge is torn down. Meanwhile there has been some updating on the “Driving Forward” website on the EOC including . There is no “timeline” update since January 2018. 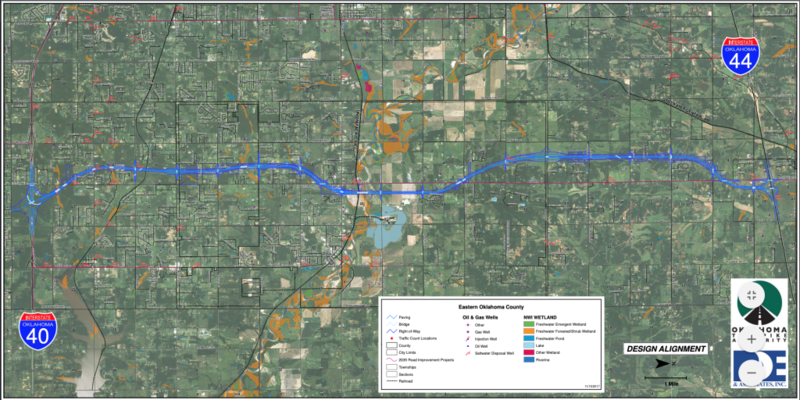 However, those who live in the path of the $20 million toll road know well that construction is ongoing. New is a map dated for tomorrow, December 1, 2018, that informs of the various road closures that began earlier this year concluding with the closure overnight Friday at I-40 on November 30, 2018. New on the Driving Forward website. The website also includes what appears to be an update route map. Here is the Driving Forward website. 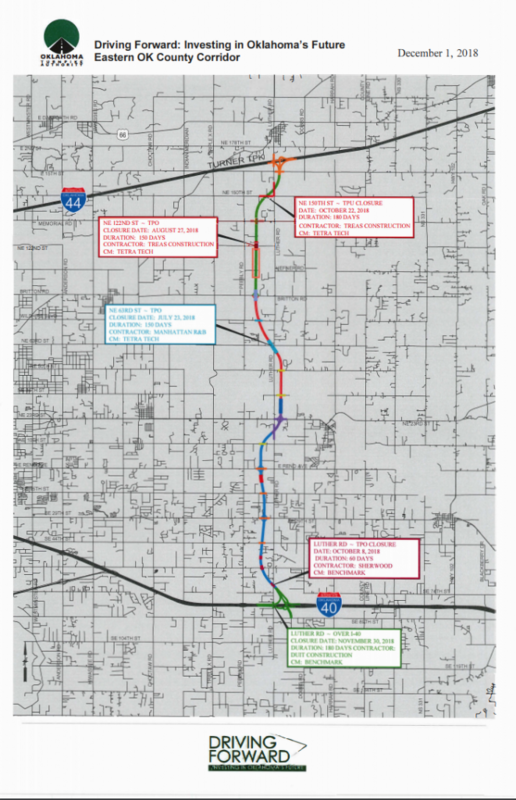 What questions do you have about the construction and the new $20 million toll road connecting the Turner Turnpike to I-40? See archived Luther Register turnpike stories here.